Atheer's enterprise AR platform now allows experts outside an organization to provide support across enterprise boundaries, provides the ability to control the use of additional LED lighting directly from within the platform and supports a broader range of AR devices. 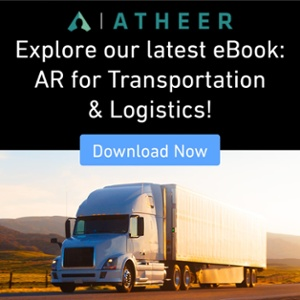 MOUNTAIN VIEW, Calif., July 13, 2018 -- Atheer today announced the July 2018 version of the Atheer AR platform, which provides enterprises with better support for participation by their supply chain and partners, a broader range of supported devices and even greater precision in reporting how work instruction content is used. It introduces the ability to designate expert individuals outside an enterprise as "Guest Experts", which allows them to provide AR-based remote support to an organization's workforce on an ad-hoc, as-needed basis. In organizations that deal with the maintenance, repair and operations of large, expensive equipment (such as manufacturing lines or aircraft) that involve multiple suppliers potentially troubleshooting multiple potential points of failure, this capability makes it faster and easier to bring support to workers when they need it, regardless of where and who has that expert knowledge. The new feature leverages the "see-what-I-see" capabilities of the Atheer AR platform to allow Guest Experts to use a simple, secure Web-based console to see exactly what the user of the AR device (such as a pair of smartglasses, a smartphone or tablet) is seeing without the need for the Guest Expert to use any specialized equipment or have access to the network of the enterprise. Meanwhile, enhancements to hardware support in the Atheer AR platform now ensure that workers using AR smartglasses are able to control the use of the on-board LED light from within the Atheer app (without needing to use external controls on the device). Supported devices include smartglasses from ODG, RealWear and Vuzix - as well as the Samsung S3 Android tablet. This new functionality allows both workers in the field, and the remote experts with whom they are collaborating, can switch the LED light on and off without taking the wearer or user of the device away from the task they are conducting. The latest release of the Atheer AR platform also broadens the range of supported devices, which now includes the Samsung Tab S3 tablet and the Realwear HMT-1Z1 "intrinsically safe" head mounted computer (with ATEX & IECEx Zone 1 and CSA C1-D1 approvals). Finally the new release builds on the idea that "every second counts" in the workplace and now provides work instruction reporting that can track and report on the execution of work instructions down to the millisecond, allowing for highly detailed and granular analysis of business processes. "The addition of Guest Expert capabilities and support for a broader range of hardware features and devices is a direct result of feature requests we are hearing from customers," said Atheer Senior Vice-President of Sales and Marketing Amar Dhaliwal. "Our commitment is to give customers the features and capabilities they tell us they need to make themselves, their workforces and their extended enterprises successful with Augmented Reality." Established in 2012, Atheer produces an enterprise-grade, Augmented Reality platform that is ubiquitous across computing devices and operating systems - enabling the provision of contextual, predictive and prescriptive guidance, remote digital collaboration, digital asset management and performance analytics using a natural, multimodal interaction paradigm. Our products are designed to improve the productivity, quality, accuracy, and safety of industrial workers. Atheer's award-winning platform provides "See What I See" video collaboration and taskflow management to empower the 21st century workforce in areas such as Automotive, Industrial, Logistics, Manufacturing, and Transportation. 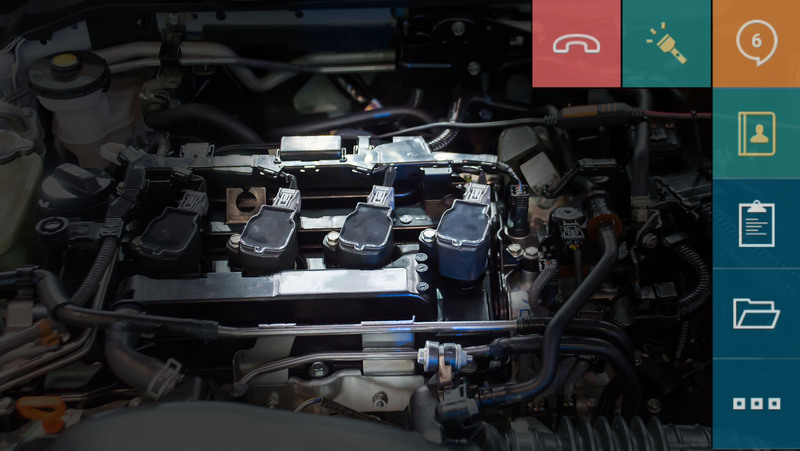 Powered by 56 issued patents - and validated with key customers including Masimo and Porsche Cars North America - the Atheer platform provides an out-of-box solution for enterprises. It is one of the most hardware-agnostic Augmented Reality platforms available for the industrial enterprise, with announced support for solutions using Windows 10 (on the new Toshiba dynaEdge™ AR Smart Glasses), Microsoft HoloLens, a range of Android-based smart glasses and head-mounted devices (including those offered by ODG, Epson, Vuzix, RealWear) Samsung's popular S2 and S3 tablets and the Safari browser on Apple iPhones and iPads.